Experience our Black Out Blind Tastings Today! Renowned as one of the top 100 restaurants in Canada, Old Vines Restaurant is an all-seasons culinary destination. Chef Roger Sleiman and his team create spectacular dishes made from the freshest local ingredients, providing guests with a true taste of the Okanagan. A sip of wine with a nibble of chocolate. A guided tour and tasting in our private library. Perhaps a casual stroll through the vineyards to drink in the spectacular views or discover the perfect pairing for your favourite meal. There’s no end to what we’ve got to offer at Quails’ Gate. Come discover your perfect Okanagan moment. We believe great wines begin in great vineyards. Through decades of research, careful crafting and an unwavering dedication to consistency, we’ve cultivated a reputation for delivering quality wines that pair perfectly anytime, anywhere. 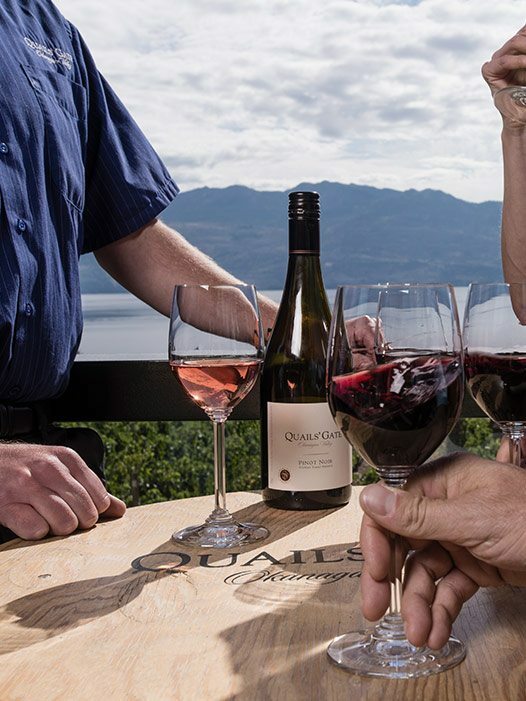 Three generations have helped to build Quails’ Gate into the award-winning winery that exists today. The pursuit of viticultural and winemaking excellence has remained the driving force behind everything we do. Quails’ Gate Winery believes you should always have something to look forward to. 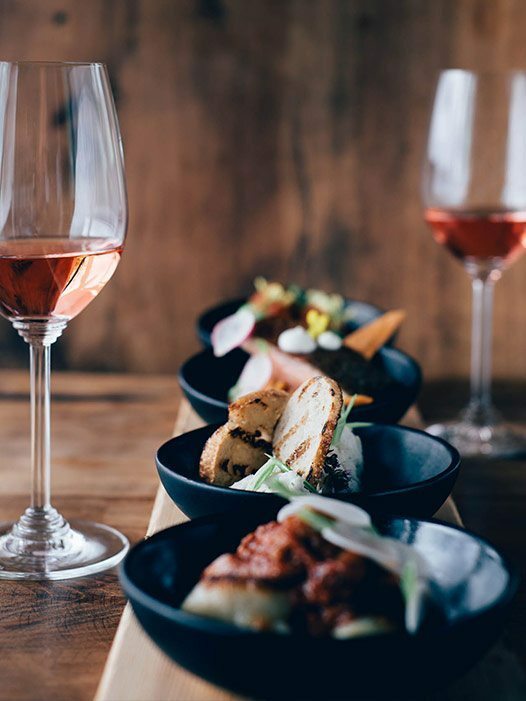 The latest news, delicious recipes and perfect pairings - you get all this and more when you sign up for the Wine Life.